Dustin has written some about his “days in the life” and with National Athletic Training Month upon us, I thought I’d share what my current job is like as well. Like Dustin, I am an athletic trainer working in a physical therapy clinic and providing outreach services to local high schools. I have worked a large amount of hours in the fitness centers, but I also spend a good amount of time working in the physical therapy area as well. This is in addition to being at the high school one day week plus varsity games. Now that spring season has begun (yesterday here in Illinois) things will begin to pick up; running between baseball, softball, girls’ soccer, and the occasional track practice. 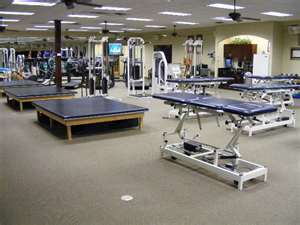 But I have more recently added additional responsibilities in the physical therapy clinic.